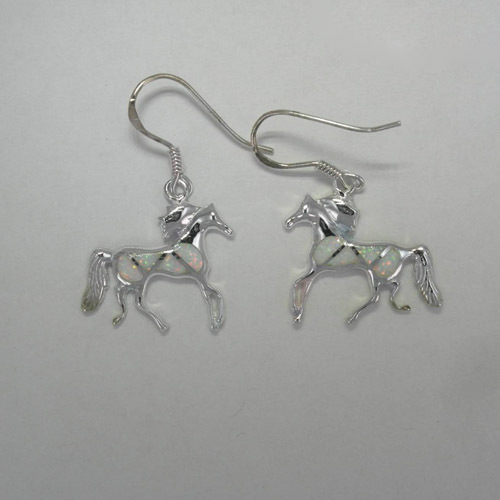 Desc: Sterling Silver Opal trotting horses dangle earrings. Each horse is trotting and has bezel set Opal in the body of each horse. The earrings dangle from French wires and have bright polish finishes.